If Democrats can’t muster the courage to stand up now and fight for President Barack Obama’s fiscal stimulus package, then don’t expect them to fight for anything else during Obama’s presidency. If the Democrats won’t fight, the wealthy will get richer, the middle class will lose more ground and the poor will suffer more over the next four years. More people will suffer and die needlessly so health insurance companies can make profits. There will be fewer jobs in the nation and fewer opportunities to go to college. Retirement will be that quaint program of the past once championed by those weird liberals. If Democrats won’t fight, they could lose big in the 2010 Congressional elections, and Obama might not be reelected in 2012. The $820 billion fiscal stimulus package-trimmed to $780 billion at this point–will help this nation escape another Great Depression, and the U.S. Senate should pass it without any major changes from the House version. But Republicans oppose the bill. The bill, if anything, should spend more money, not less. It will put people to work. It will put billions of dollars directly back into the economy. Who cares what the obstructionist Republicans think? Their ideology of market fundamentalism has been soundly repudiated and soundly rejected. They are the people who squandered former President Bill Clinton’s budget surplus. How dare a Congressional Republican even mention budget deficits after former President George Bush’s reign of fiscal terror. Why can’t or won’t the Democratic politicians fight? Why are they scared? It’s a sickening spectacle-it literally should make Democratic voters nauseated-to watch major Democratic leaders try to soothe the political egos of extremist Republicans as they remove this or that part of the package because it doesn’t fit with GOP ideology. They should stop now. The Republicans aren’t interested in bipartisanship. They never have been. Who in their right mind would think the Republican Party, in its current form, believes in bipartisanship? Call for the vote. If the GOP and its Tom Coburns can stop the bill in the U.S. Senate, then so be it. If some turncoat Democrats want to join the GOP, then so be it. Real Democrats can then find ways to work around the immoral obstructionists and extremists that run the GOP these days. They can also find ways to get around those Republicans who pose as Democrats. Scary, right? I mean, ahem, another “thought coming.” That’s downright frightening. No, no, no, not another “thought,” no, anything but that. That’s true enough, but where’s the passion? His statement is, well, boring. It doesn’t resonate. Where’s the clear sound bite that squarely blames GOP-influenced ideology for the mess we’re in on the economic front. The Democrats will never win the overall battle with Obama’s and Reid’s lukewarm rhetoric. The Republican Party puts the interests of the ultra-wealthy above everyone else. Its obstruction of the fiscal stimulus bill is just another example. The GOP position is fundamentally immoral and repugnant. Let it be known that as people lost their homes and jobs in record numbers, the Republican Party clung to its own failed ideology and created massive suffering across this country. The damage the Republican Party has done to this country in recent years is incalculable. The GOP is under the control of right-wing extremists and radicals who want to take away your economic freedom and security. This Republican obstructionism tells us the GOP could care less about American losing their homes, jobs and health insurance. It’s unpatriotic. It jeopardizes our way of life and our basic freedoms. The Republicans will gladly ask you to serve in a war, but they could care less if you have a job or health care if you survive it. The do-nothing Republicans are wasting time on wedge issues as Americans suffer the consequences of their failed policies. Reid and House Speaker Nancy Pelosi need to tell these radical Republican obstructionists that Democrats will hold up every major piece of GOP-sponsored legislation presented in the House and Senate until a real stimulus package passes. Anyone who supported Obama in his presidential bid should be disappointed that he, along with Congressional Democrats, won’t stand up and tell it like it is. Why won’t Obama stand up and fight for the people who got him elected to office? Does he even care about his own bill? Why is he now betraying groups of people who rallied around his candidacy and got him elected by allowing the Republicans to gut his bill, humiliate him in his first days in office as an ineffective leader and then indicate they’re going to vote against his plan anyway? Why do the Republicans get to win even though Democrats pretty much control the federal government right now? Here is how it is: The Republicans are the reason the country faces such a dire financial crisis and now they stand in the way of a solution. The Democrats, once again, cower and refuse to fight even though a clear majority of the nation and the vast majority of the world want them to stand up to the GOP extremists who have ruined the global economy. It’s the same old story. Meanwhile right-wing hate radio and television is filled with the latest rant, which is Obama is a socialist, blah, blah, blah. Is this what leading Democrats are worried about? Maybe they should turn off Rush Limbaugh and start listening to the people who elected them to office. We can’t expect relief from the tired old theories that, in eight short years, doubled the national debt, threw our economy into a tailspin, and led us into this mess in the first place. We can’t rely on a losing formula that offers only tax cuts as the answer to all our problems while ignoring our fundamental economic challenges. 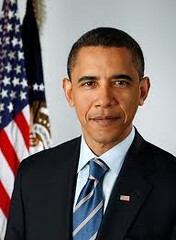 President: Barack Obama. There is no question the country’s government needs great change to face its pressing problems. It’s absurd anyone would think John McCain would deviate substantially from the policy positions of President George Bush. For this reason alone, Barack Obama is the clear choice. Obama also has the potential to be one of the greatest American presidents ever by uniting the country during a difficult time. An Obama presidency would represent a historical change of seismic proportions. U.S. Senator: Andrew Rice. It’s clear U.S. Sen. Jim Inhofe has been in Washington too long. What has he done all these years? Well, he has repeatedly embarrassed many people in the state with his outrageous and divisive comments about global warming and cultural wedge issues. This is a year of change. State Sen. Andrew Rice represents change. He is bright and articulate and will serve as a great Oklahoma ambassador in Washington. Corporation Commissioner: Jim Roth, Charles Gray. Jim Roth proved his mettle as a Oklahoma County Commissioner. Gov. Brad Henry then appointed Roth to the Corporation Commission, and he has served with composure and distinction. He deserves your vote. In the other Corporation Commission race, Charles Gray deserves your vote. Gray would bring a real people’s view to the commission. U.S Representative: Dan Boren. It’s essential Oklahomans return Dan Boren to Washington. As it stands now, he is the only Democrat in the state’s Congressional delegation. He adds balance to the delegation and helps the state’s image in the process. 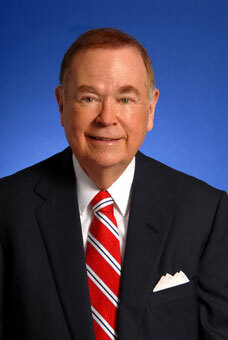 Boren is a centrist-to-conservative Democrat who has represented the state with distinction. He deserves your vote. I would urge voters in other Congressional districts to also vote Democratic this year. District 84 State Representative: Ron Marlett. As I wrote earlier, “Ron Marlett is the clear choice for state representative in House District 84, a seat now held by Sally Kern, the right-wing ideologue who made national news when she publicly claimed homosexuality is a greater threat to the nation than terrorism.” Marlett’s election would tell the world that Oklahoma will not tolerate the hateful, extremist views of political leaders. You can change politics in this country at every level — up and down the ballot. There’s a candidate in Oklahoma who’s working to bring the change this country needs, and that candidate is Andrew Rice. Get involved and help bring change now. Don’t wait until Election Day to support Rice. Get involved today to make sure Oklahoma has a strong senator to take our country in a new direction.